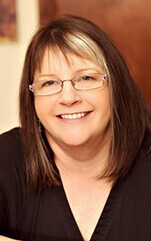 Robin has been practicing dentistry for 24 years and counting, first joining our practice three years ago. She has her Bachelors in Biology from Penn State University and her Associates in Dental Hygiene from Northampton Community College. Her favorite part of her job is the great office team and patients! Originally from Pottsville, Robin enjoys spending time with friends and family, working out, traveling, and volunteering at Life Church in her spare time. Judy has been working in the dental field for over 30 years now, and she’s spent four so far as a valued member of our team. She’s a lifetime member and fellow of the American Association of Dental Office Managers. She loves the high-tech, friendly environment of the practice, as well as being able to meet new patients every single week. Judi is a Lehigh Valley resident. Outside of work, she enjoys spending time with her husband, hiking, and traveling by RV! 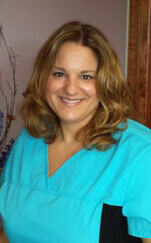 Randi first joined our team two years ago and has 16 years of dental world experience overall. 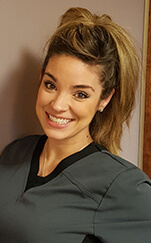 She spent six years working as a dental assistant in orthodontics and general dentistry before earning her Associates of Applied Science for Dental Hygiene from Northampton Community College. Randi is from right here in Allentown. She’s married with three boys and enjoys spending time with her family and cheering on the Steelers in her free time!